Dads are often told they’re inadequate in varied ways. They didn’t do the diaper correctly. They didn’t fold the laundry properly. The dishwasher wasn’t loaded right. And of course, the ever-popular dads don’t know how to cook. Deep down, we all know this is absurd. When dads are “corrected” for doing things wrong, that’s unfair because they didn’t do it wrong; they may have done it different, but different isn’t necessarily wrong. So now we have Unilever, the world’s largest consumer goods company and operator of Country Crock, telling us not only that dads can’t bake, but can’t even handle easy baking. It’s true that home cooking is more often associated with women than men, but that doesn’t mean companies should exclude dads. If anything, there’s a missed opportunity to covet an untapped market. Companies would be wise to target fathers just the same. Via stereotypes and old fashioned attitudes, home repair is more connected with men than women, but Lowe’s regularly employs women in its marketing. There’s not a single female player in the NFL, but the league still spends millions trying to reach women and moms. 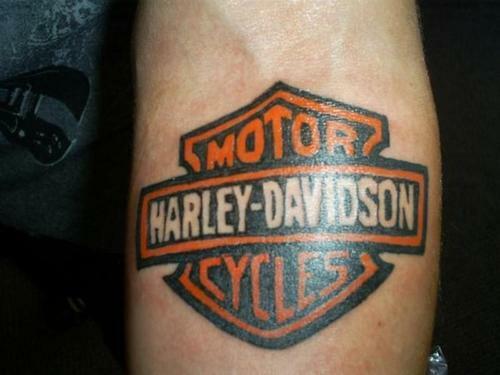 Harley-Davidson has benefited greatly by pursuing female customers. Couldn’t the rest of the marketing world learn from these success stories and apply them to fathers? Ironically, in the culinary world, professional, high-status cooking is a male-dominated sport. According to Ann Cooper, author of “A Woman’s Place Is in the Kitchen: The Evolution of Women Chefs,” 55 percent of people working in the culinary industry are men. The dads can’t cook myth also does an equal disservice to women by inferring that a mother’s place is in the kitchen. The reality is that it’s really not that hard to follow a recipe. Yet countless food manufacturers refuse to include dad on their websites, in promotions, or on commercials. Even micro meals — arguably the easiest food prep of all — don’t speak to fathers. We implore Unilever and Country Crock to take a strong look at how dads are treated and used in their marketing. Now is the time for its creative agency to view dads with a clean slate by erasing all the myths and misguided labels, which drag fathers down from being viewed as equal and adept parents. 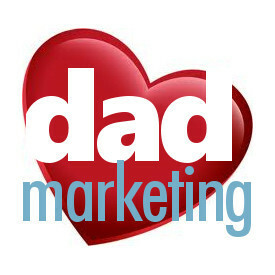 Companies who’d like to increase revenue and brand loyalty need to implement a different marketing strategy if they want to reach dads. Women will never be treated with equality in the workforce until we start to treat dads the same at home. The two are intertwined. Exhibiting a gender bias in both is wrong, but the good news is that it’s fairly quick and easy to start making website edits. The rest of the company culture will follow and positively affect its other family of products. You can make that happen today, Unilever. Families are watching. Would you tattoo Gerber on your arm? Sure, this 2006 ad (featured) is a little old, but it’s BDM (before dadmarketing), so we feel it’s worth a little attention here today. There’s something to be learned from the magnificence of Harley-Davidson’s marketing team. It’s difficult to name another brand where its customers are willing to permanently etch its logo on their bodies. The ultra-cool aura of a Harley has moved beyond its outlaw biker days and found its place among a variety of customers – both genders included – that seek a certain image and freedom. When you buy a Harley, you’re not really buying a motorcycle, you’re buying a lifestyle. This featured ad proves that a classic, established brand steeped in tradition is willing to go non-traditional when marketing its product to customers. You don’t have to overanalyze the ad – it speaks for itself in simplistic terms. No, that’s not just a man in the photo, it’s a dad! And a baby stroller? Whoa, would Johnson & Johnson, or Boppy, or Desitin, or Similac, et al, even dare consider putting anyone other than a mother in control of stroller wheels in one of its ads? 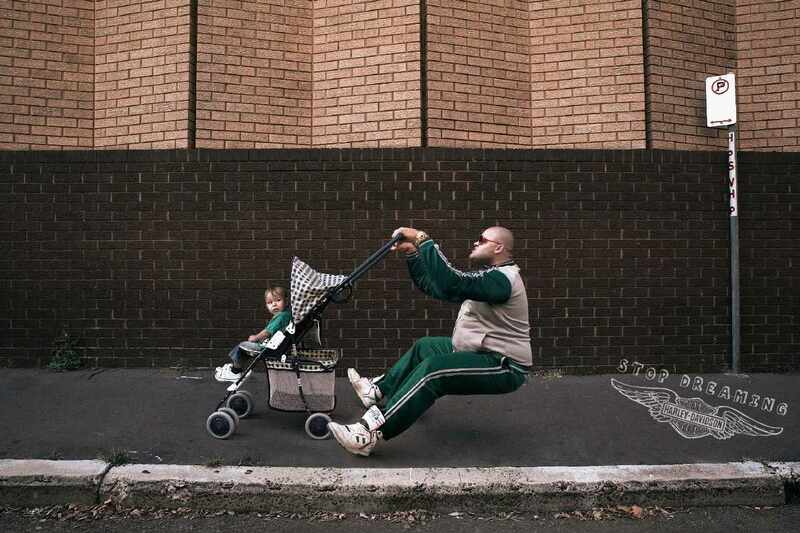 Hardly, as those marketers can’t move beyond the fact that mothers have no more instinctive ability to care for children than fathers, yet their ads hardly reflect that fact. Check out Juicy Juice’s “Moms Knows Best” promo it just unveiled today, a mere two days before Father’s Day. Talk about a slap in the face to dads everywhere. Whether you’re a parent or not, a male or female, it’s hard not to smile at the genius of Harley’s ad. Sure, this ad targets guys first, but Harley has no stereotypical customer. It’s this kind of thinking that has made Harley-Davidson what it is today, and why so many other businesses should have that same mindset, rather than not speaking to dads when it comes to the big bucks it spends on marketing.